9969-7639. 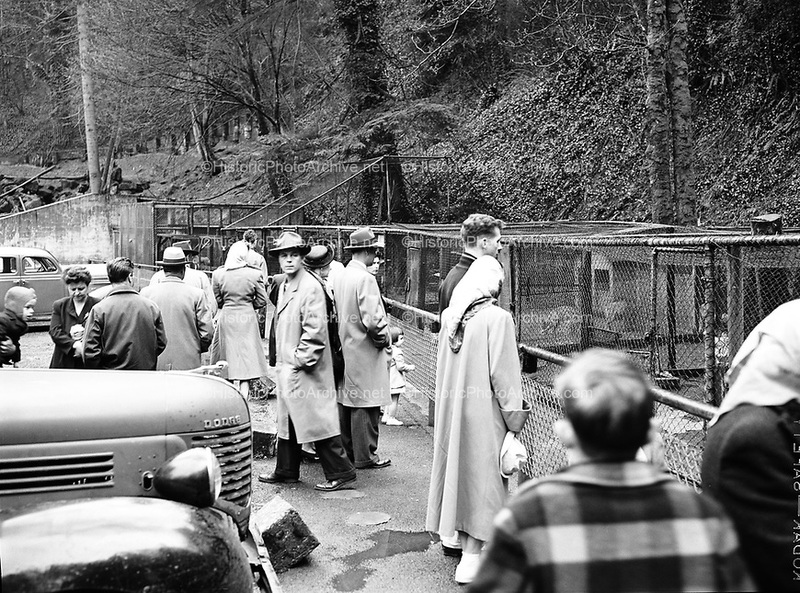 Zoo goers grouping around to look at the animals. Portland zoo animals in mud. March 23 or 26, 1949.